Have you ever wondered how you might be able to spot a customer who was going to cause you trouble? If your answer is yes, we have a list of 5 telltale signs here, and ways to deal with them. A successful online business is known by the way it deals with its customers. The users visit your website, trust the content, and convert into a customer. They can have a good or a bad experience, and may also react according to their basic temperament and general attitude. It is the store that has to respond peacefully to their queries and make them stay loyal to the business. What Makes a Good eCommerce Customer? The definition of a good eCommerce customer is one who is happy and keeps in contact. They will want to avail of all the entitled benefits and come up with legitimate claims. Happy Ecommerce customers seek the productive resolution of their problems and do not malign the integrity of the business. They instead give business owners constructive criticism by sowing them areas for improvement. A bad customer proves to be constraint to business success. These customers keep on making unrealistic claims, want to get more by spending less, and never admire the quality of a product or the company’s service. Can You Avoid the Bad Ones? eCommerce website managers may look into redefining customer support so that everyone is pleased and happy. Fair dealing with Ecommerce customers starts with the design and development of your website. It may require you to improve navigation and the shopping experience of your store. You can use WooCommerce, Magento, or PrestaShop. One of the effective tools is the Magento Brand Page extension to add top brands and manufacturers to the website and allow customers to browse products by their favorite brands. Keep in mind, however, that you may put in every effort to make every customer happy, but fail to do so. You never know when you will encounter a bad one. 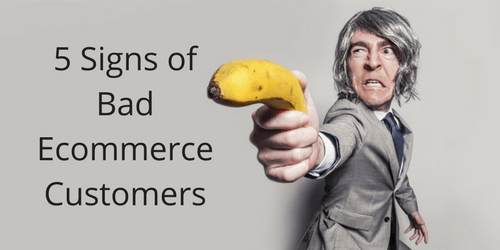 The following are some of the signs to recognize the bad Ecommerce customers and how to deal with them properly. Online sellers frequently receive queries from potential customers with unfair expectations. This may lead them to be disappointment after placing orders. It is a general perception among online buyers that online stores frequently offer discounts and attractive offers. Most online stores do come up with seasonal sales, but it is not mandatory for everyone. Bad Ecommerce customers will consider it a must for every retailer to have a deals section where they can consistently siphon up giveaways. It is surely unfair to expect big and regular discounts from online stores. Discounts and deals are all voluntarily offered by merchants. Some business models do not even allow for discounts. As a seller, you need to clearly communicate the nature of your business. Create an atmoshphere on your website that immediately corrects users when they expect more. A clear sign of a bad customer is their unhappy and threatening behavior. Their attitude will make you feel guilty, as if you have done something wrong with their order. However, these customers in fact have the habit of pointing out a few flaws in every product they purchase. These Ecommerce customers remain unhappy regardless of your extended support. This also corresponds to their level of expectation from the retailer. They demand something for nothing, and often threaten to promote negative reviews against you on different digital platforms or sue for damages. Communicate very clearly the features of your products or services straightaway on their respective pages, and clarify your terms and conditions. Ecommerce consumers often complain about products or services that are different from what is shown on the website. You can bridge the gap and make the customer happy by posting high-quality images and videos that accurately display the products they represent. Craft your listings arefully as well so that there is no possibility for misrepresenting a product or service. Any customer, either happy or unhappy, has no right to use abusive language towards anyone representing your company. There is no way to justify abusive behavior. If any Ecommerce customer received a poor quality product or service, he or she should simply send a complaint to customer support, work with them to fix the issue, and take necessary legal action if the result is not satisfactory. Sadly, some customers do not follow the rules of polite conduct. Dealing fairly with people using abusive language is difficult. A simple rule is to keep quiet regardless of a customer’s aggressive response. Whatever a person says is a reflection of their life and mentality. The customer might be going through a trauma or have an extreme inferiority complex. Responding to them in the same rough manner will often make the situation more chaotic. Onboard storefront workers to be calm and peaceful with such customers. One of the major signs of a bad customer is that they continuously talk about your competitors with whom they have worked previously. Consumers keep on trying different service providers to find the best one. But, it is a tactic of some Ecommerce customers to praise the previous store they bought from to persuade you to over-deliver. It can be annoying when they acknowledge your hard work but still give another store higher praise. In these situatins, ask them the simple question, “What made you come to us this time instead of doing business with them again?” To peacefully handle the matter, one expert tip is to ask what they liked the most about the previous company, and naturally, they will also talk about its flaws and weaknesses. An online business often operates during the same working hours as consumers. This creates a parallel schedule of sellers and buyers, which can be unacceptable to some. For example, an online store that deals in same day delivery to local Ecommerce customers may not be able to complete orders if the consumer checks out late at night when the store is closed. 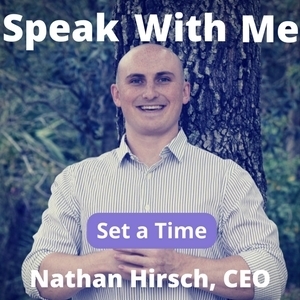 Every business has a schedule and a mechanism of fulfilling buyer’s requests. This must be made clear to the consumers. Offers like same day delivery should be clearly marked in accordance with working hours so that customers can manage when they will place orders. This includes situations where a service provider is only available on weekdays, but consumers request for the service to be on a weekend. Sellers can easily manage such customers by displaying and explaining their working hours, available stock, workers, and other areas. For instance, workers are often busy at year’s end and cannot easily alter their schedules per consumers’ available time. Most consumers know what it’s like during peak seasons, but others need to be reminded. Good and bad customers are found at every corner of the world. But, to succeed in a market, a business owner should recognize the bad ones and learn how to deal with them fairly. Misbehaving towards your unhappy customers will almost certainly harm your reputation and create a negative impact on your business. With the help of the above points, you can easily learn how to spot the bad customers on your online store and deal with them properly. Need help dealing with customers? Sign up with FreeeUp and submit a worker request! Paul Simmons is a prolific blogger and a web development and designing enthusiast. He boasts more than 7 years of experience in helping businesses gain impressive exposure and valuable user experience. Currently, he is working at the FME – Logo Design Company where he leads in various eCommerce web development projects.